Building Custom Homes Since 1984 Campbell Garrett Distinctive Custom Homes and Estates can custom build your new home. Your new home will be a reflection of your unique tastes and desires. We understand that building a custom home can be a stressful event. That’s why we have developed a step by step process, consolidated the selection of interior and exterior features into a one-stop Design Center, and made the home building process a team approach with communication as a cornerstone. Since 1984 our family has been providing Distinctive Homes and Estates unparalleled in quality, reliability, and beauty. With over 125 years of combined experience in new home construction throughout Southeast Texas, we have the skill and organization to deliver the quality you expect and deserve. Over 85% of our buyers are referred from friends, family, architects and designers who know the difference. Multiple award winning Greymark Construction is enjoying its 24th year remodeling homes in Houston and is the winner of the 2010, 2011, 2012, 2013 and 2015 Greater Houston Builders Association Grand Remodeler prize (that's four years in a row) and of the Better Business Bureau award for excellence (also for the fourth year in a row). We work to keep our customers happy every day and invite everyone to call our clients, even the ones in the middle of a project right now. We provide the design build experience to create the home you long for. We are so committed to quality and keeping our customers happy that we have hired an outside survey firm to ask our clients how we’re doing. They publish the results on line. You can check whether we’re keeping our customers happy every day at the link on our website. What Does Alleanza Mean? Alleanza is an Italian word for covenant. When you share your dreams and your plans with us, we will make promises and commitments to you that we take seriously. We stand by each of our custom built homes in Houston with a lifetime guarantee. This is our covenant – our promise - to you and your family. We will do what we say we’re going to do, and we’ll exceed your expectations every step of the way. Alleanza’s History We started as custom home builders in Houston in 2007. All our homes have been distinguished by their design, custom features, and high quality. Our company started during an inconvenient economic period for real estate, but we knew that custom built homes in Houston had potential, and we knew we were the best at what we do. When you provide high quality and outstanding customer service, people will always want to work with you. We’ve found that to be true, and by the end of 2017, we will have completed our 50th custom built home in Houston. We’re proud of that, and we’re even expanding into communities like Sugarland and Richmond. What Makes Alleanza Unique? 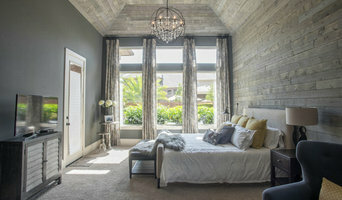 Our designs are unique, compared to other home builders in Houston. The architects we work with are talented and they design truly custom and high-end homes. Our reputation for doing what we say we will do and standing behind our work is well established. There’s a lot of credibility associated with our name and our ability to create custom built homes in Houston. We’ve been doing this for 10 years, and people know we can be trusted. Our process is seamless for the future homeowner. We make it fun and managed and predictable. We are constantly communicating with you, your architect, and the entire construction team. Everything is transparent and predictable and the end result is exactly what you envisioned when we first started talking about your dream home. The Henry Kate Design Company team benefits from a creative leader who is both a Contractor with an eye for design and a Decorator with a brain for construction. A Henry Kate Design is thoughtful, timeless, and transcendent. The entire Henry Kate Design Company team is outwardly focused on building lasting relationships with the clients, vendors, and communities it serves. A commitment to excellence both in design and in service means the end goal isn't just a beautiful space that exceeds expectations, but a lasting friendship with enduring trust, confidence and reliability. At Stone Acorn Builders we don’t just build custom homes. For us it’s about honest communication with our clients so we can craft your dream home with you, every step of the way. It may be your home when finished, but with great pride it will always be a Stone Acorn Builders house. Stone Acorn Builders is a full-service Design Build New Home Construction company founded in 1999. Owned and operated by brother-sister team Sarah Lavine-Kass and Benjamin Lavine, Stone Acorn Builders is a proud member of the prestigious Southern Living Custom Builder Program. Signing on with Stone Acorn Builders means you’re working with a team that prides itself on quality, integrity, and customer service. Both Benjamin and Sarah supervise every job, educate the client on the home building process, and help them make informed decisions. Please reach out to us to design and build your dream home. Fairmont Custom Homes is a member of an exclusive group of builders chosen for the Southern Living Custom Builder Program. We work as a partner with our clients to turn dreams into reality. With the utmost integrity, we are guided by honesty and what is right for our clients in every decision we make. We are committed to excellence in everything that we do, and strive to continually improve the homebuilding experience. Fairmont Custom Homes provides collaborative communication, design-build, and a unique opportunity for the customer to participate in the co-creation of their dream home. Fairmont can customize to your home site and your personal needs as well as assist with any design-build concepts. Committed to bringing the highest quality service and a better homebuilding experience at a fair, competitive price, Fairmont Custom Homes shares your dream and makes it your reality. Our success lies in our unrivaled customer service, our detailed planning, and our dedication to communication and quality. Unlike our competition, we will offer better hands on experience with quality construction and design. About the Builder - Michael Pelletier, GMB Michael Pelletier, GMB (Graduate Master Builder), brings over 20 years of construction experience to the homebuilding industry. With a combination of his hands on experience and a degree in Psychology, he is able to offer a dynamic approach to managing people as well as build a quality home. During his time in high school and college, Mr. Pelletier gained ground level experience by framing houses and working construction. Through his hard work and discipline, he was able to fund his entire college tuition. After college, Mr. Pelletier further gained experience in managing community associations for numerous Boards of Directors in various communities. A Forward Thinking Design/Build Firm committed to providing you with innovative design and construction. Design with a Purpose, Design for Humanity: 38 years of architectural experience have forged a passion to create timeless environments and places that positively affect our world. Named 2017 Custom Builder of the Year by the Texas Association of Builders. 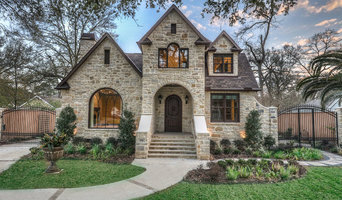 On Point Custom Homes is a locally and nationally recognized, award-winning Houston custom home builder and remodeler. The On Point Custom Homes team is committed to you, the client. 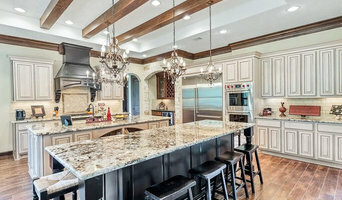 The team at On Point Custom Homes works to provide distinctly unique and beautiful floor plans to suit a wide variety of buyers, and our dedicated staff works equally hard on assisting homeowners in remodeling their existing home. A custom home or renovation is the ultimate reflection of the owner, and we take steps to ensure our designs are perfectly tailored to your needs. We specialize in contemporary designs and builds in Houston's inner-city, particularly in inner-loop neighborhoods including Briargrove, Upper Kirby, Museum District, Montrose, Rice Military, Heights, Tanglewood, Boulevard Oaks, Southampton, West University, Midtown, River Oaks, Hype Park. An Artisan is a skilled craftsman. We chose to utilize the phonetic spelling due to the unique character, thought provoking quality and nature of "Zen" in its essence. Ardezen in its own light, wants to recognize the connection between the outcome of its skill and the client commissioning our services. We aim to create an avenue between a much deeper purpose behind the curation of material possessions. Yes we have the capabilities of producing our own vision for the world to see and in time we will create a product line that will represent our ethos. Our immediate foundational intention however, is to spend quality time with our clients and give them a safe environment to discuss what truly resonates with them. The "why and how" certain elements provoke them, ultimately entering a discussion that leads to a plan to exemplify those connections in the final outcome. This ensures, that the product we collaboratively create, has a lasting outcome. Is not made for the sake of being made just to "fit the bill", to then just be replaced when its pre-engineered limited lifetime runs out. We strive to create a stable, sustaining, visually stimulating and detail-oriented product that will provoke the owner's psychology in a restorative, healthy and uplifting manner. This is what we believe sets us apart form others and goes hand-in-hand with the services we are proud to offer. We are passionate about great architecture and dedicated to bringing you the best design in an affordable way. We are committed to sustainable design and construction practices. We believe in hard work and continued learning. We analyze our client’s needs and requirements to ensure an appropriate design solution. Our design is only as good as our client’s contribution, so we encourage client input and participation throughout the process. We are dedicated to responsibility and long-term commitment for maintaining the quality of our work. Design-build firms take on the responsibilities of architects, contractors and construction companies, all under one roof. These full-service firms focus on a streamlined design-build process — from the initial design to the estimating phase to physical construction — in the hope of creating an efficient experience for both the client and the company. Because the entire project is happening within one company, Richmond design-build firms are able to overlap the design and construction phases of the project, which often speeds up the project significantly. In addition, these firms work to minimize risks for the project owner through single-point responsibility contracts. However, depending on the firm, you may still want to contact an interior designer or architect to help create the exact look you want. Here are some related professionals and vendors to complement the work of design-build firms: Interior Designers & Decorators, Landscape Architects & Landscape Designers, Architects & Building Designers, Photographers. Before deciding on a residential design-and-build company in Richmond, TX, think about what you want from your new home. Do you want a large kitchen for entertaining? Do you need several bedrooms for children and guests? Do you want a finished basement for extra space or storage? Look for Richmond design-builders that specialize in the areas you're looking for. Budget is obviously a determining factor in the outcome of your project. To make sure you stay within your means, consider making a must-have list and a wish list. Gauge where the estimates are falling to determine which design-build contract can realistically strike the balance between the two. Find a Richmond design-build company on Houzz. Narrow your search in the Professionals section of the website to design-build firms in Richmond, TX. You may also look through Richmond, TX photos to find a pool you like, then contact the design-build firm that created it.